The sky is the sky is the sky! 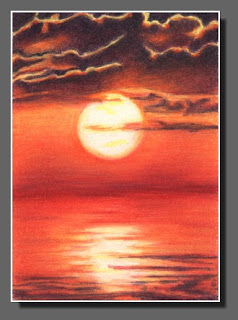 I love doing these mini colored pencil paintings of Silhouette Skies. Everyday, every night, every minute, the sky is different. Always changing. We humans, for the most part, hate change. We are creatures of habit. We like the security and steadiness of things staying the same. But, it’s change that opens doors for our art to expand. Just something to think about. Your work is AWESOME!!! I too love colored pencil. Thanks!! And thanks for stopping by. It’s always great knowing folks are taking a peak.